Sometimes you can see what an author’s going for, but he just doesn’t have the skills to deliver. That’s my judgment on Phillip Strang’s Death Unholy. It’s become almost compulsory in British police procedurals, perhaps due to the Inspector Morse model: Team a crusty old detective with a young rookie detective. Nowadays it almost has to be a female rookie. And that’s exactly what we have in Death Unholy. Keith Tremayne is an aging cop, approaching retirement, in Salisbury. His subordinate is Clare Yarwood, a suitably attractive young detective. One day they get a truly bizarre case – apparently spontaneous human combustion. An old man – or rather his ashes, plus his legs – is found very dead in an easy chair. Such cases are generally explained by dropped cigarettes and a smoldering effect, but this fellow didn’t smoke. 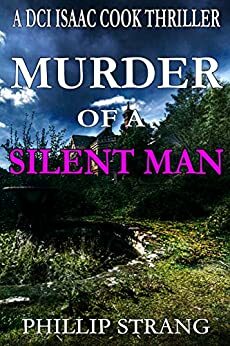 As Tremayne and Yarwood inquire into the man’s circle of acquaintances, further people start disappearing or dying by violence. Eventually their attention is drawn to a nearby village, historically isolated, where the Anglican priest lives in fear for his soul, and ancient pagan rituals continue to be practiced – and they seem to be effective. Death Unholy just didn’t come together for me. The classic grumpy English detectives, like Morse, are usually softened by some unexpected outside interest (often music) that humanizes them. Tremayne, we’re told, has nothing beside his job in his life other than betting on horses and drinking. He’s a bore, and utterly predictable. Dialogue in a novel is supposed to reveal the characters to the reader, through observation of how people relate. Author Strang here gives us the dialogue and then informs us what it means. A big surprise near the end was obvious to me a mile off, and another smaller surprise at the very end made no sense to me based on how the character had been established. 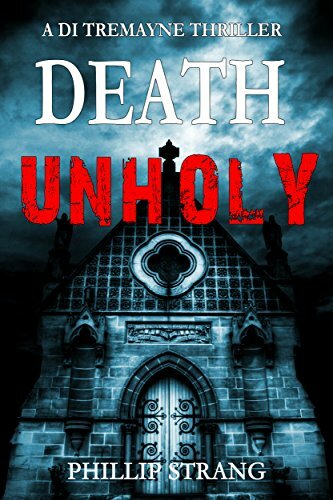 Death Unholy starts as a police procedural, then blindsides the reader by turning into﻿ a supernatural thriller. I have an idea that author Strang may have beliefs that I approve of, but I don’t think he made them work for him in this book.